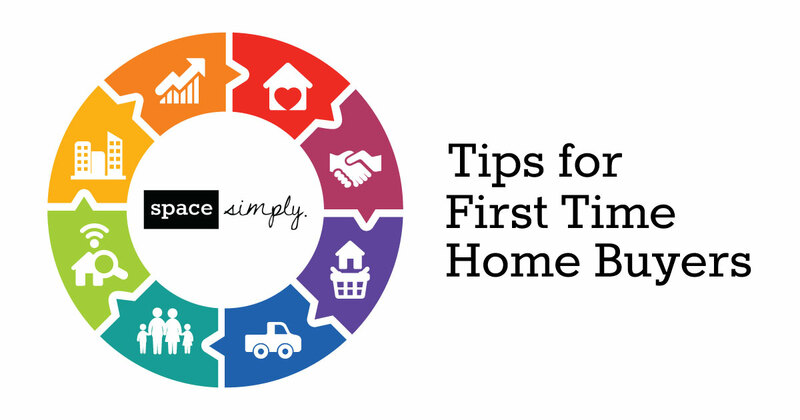 Have you decided it is time to purchase your first home in Des Moines? Don’t let the task overwhelm you. There are many steps that go into the purchase of any home -- everything from the basics to the obscure things repeat home buyers often overlook -- and Space Simply is here to help make your Des Moines home buying experience less daunting! Before you begin hunting for your Des Moines metro home, have a firm understanding of what your budget allows. Meet with your lender and establish a customized plan based on your individual situation. Individuals can be approved for a larger mortgage than they are prepared to pay. Consider how much you currently pay for rent, how easily you were able to make that payment and understand the total amount you are approved for and how much you will be paying each month. Once you know how much you plan to spend, stick to it! It is easy for home buyers to fall in love with a home above their price range and decide to go for it. Justifications can include the thought that they planned to repaint or allowed for minor renovations so instead they will spend more on the “dream house” in hopes they will not need to remodel. This is a dangerous risk to take, so know your budget and look at homes within it. The size of the down payment can take first-time homeowners by surprise. Know how much you anticipate putting down for the down payment and the subsequent cost of any PMI (Private Mortgage Insurance) will help you in making the best offer and will likely help avoid hassles and complications down the road. Homeowner's Insurance: these fees, like other forms of insurance, are based on location, coverage required, the insurance company and other factors. Closing Costs: total approximately 2 to 5 percent of the agreed upon final offer value. Property Taxes: also based on location, assessed value of the home, and local tax rates. Homeowner Association Fees: these can range anywhere between nothing to a couple hundred dollars a month. These fees are based on the location and amenities provided. When a future homeowner is present for the inspection, they learn a lot more about the property they are thinking of buying. The inspector can explain things in depth more thoroughly than the report will provide them. The inspector can also show the future homeowner where the main shut-offs are for future reference. When a buyer is present for an inspection, they need to be prepared to be patient. You want the inspector to be thorough, and when they do their job well the inspection can take time. Everyone is prepared to have a traditional home inspection and once that is over they can assume they know everything they need to about the home. This is often not the case. Home buyers should consider having the property inspected by a professional pest control company. From rodents to insects to termites, pests can reside in a home for some time without being readily apparent. A professional pest control company knows exactly what signs to look for and can warn you about future pest control needs that the house might require. They can also alert you to how well your home is protected from pests. Iowa homes are extremely susceptible to radon poisoning in part due to the soil composition. Iowa homes also have a high portion of in-ground basements that are more vulnerable to radon. Since the EPA has declared the entire state of Iowa is at risk for radon contamination, it is a good idea to get the house tested, so you are aware. When you are choosing a location for your future home, consider how long you plan to be there. If you plan to stay while your family grows, consider the school district you would be located in. Also, ensure you have enough space for your family to grow, whether that means bedrooms, bathrooms, playrooms, etc. Every home warranty covers different facets of the home. While it may be a process to sort out which option is best for you, a home warranty can provide peace of mind when you are making yourself at home in your new place. There are many documents involved in purchasing a home (this list is not comprehensive). For more information about the materials you need, reach out to your legal team, bank and real estate advisor! Ready to Find Your Dream Home in Des Moines, Iowa? Space Simply can help you find your first home! Just send us a message or call us at (515)423-0899 today!